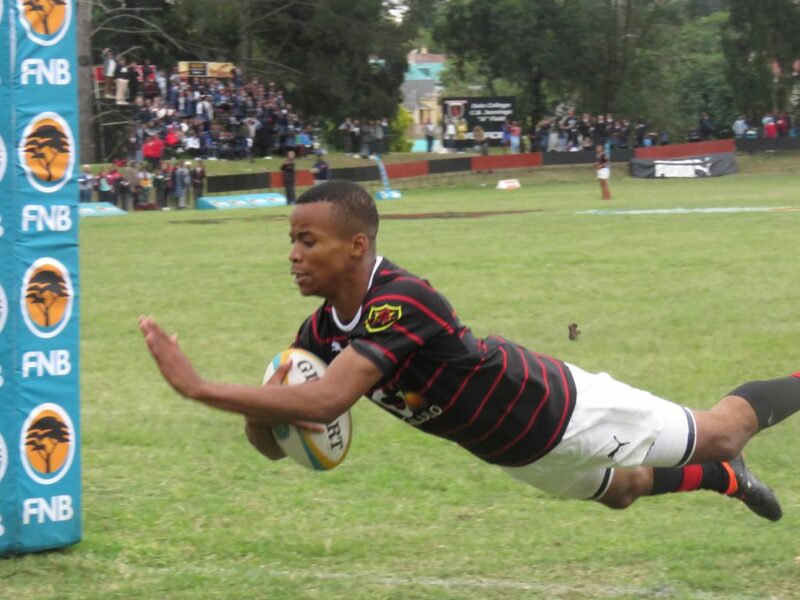 Lock Lwando Kolisa scored a brace as Dale College beat rivals Queen’s College 30-6 in Queenstown on Saturday. MARIETTE ADAMS reports. The one-sided scoreline is not a true reflection of what happened in this high-octane Border derby. Both sides played beautifully, but it was a case of Dale just capitalising on every mistake the opposition made, while Queen’s did not. Dale have now come out victorious in the last three Reunion Day derbies, having completed a clean sweep in 2018. Queen’s made the brighter start of the teams and were rewarded with two early penalty strikes. They should’ve had more points to show for their efforts, but a third penalty attempt was wide of the target, while Dale also repelled several attacks on their tryline. Dale took a little longer to get in the contest, but once they settled down and found their rhythm, they put the Queen’s defence under immense pressure. Sihlalo Benge put the hosts six points up with two well-struck penalties. 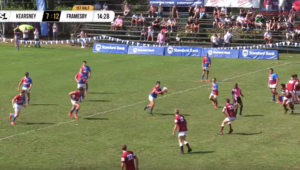 The visitors were dealt a further blow when right wing Emile Matsinya was yellow-carded for stopping a probable try with a deliberate slap-down inside the 22. But going down a man spurred Dale. They scored 15 unanswered points, including Kolisa’s double, to take a handy 15-6 lead into the break. It was one-way traffic after the restart. Tasked with chasing the game, Queen’s wilted under pressure. In an attempt to run the ball from the back, an aimless pass was pounced on by Matsinya, who scuttled away unopposed to extend Dale’s advantage. By then, outside centre Iniphile Tyeda had already conceded the kicking duties to flyhalf Thato Moisane. He had no problem adding the sideline conversion, followed by a penalty to hand Dale a 25-6 lead. With 10 minutes left on the clock, Matsinya was given a second yellow card, which translated to an automatic red card for another deliberate knock-on. But again, Queen’s frustratingly failed to capitalise on this man-over advantage. Dale, on the other hand, carried on in impressive fashion. Lively fullback Thando Zoki, who had been causing Queen’s all sorts of problems throughout the match, made another linebreak, lock Siphelele Njumba showed his great turn of pace by running a superb support line to take the final pass and score to seal derby bragging rights for Dale. 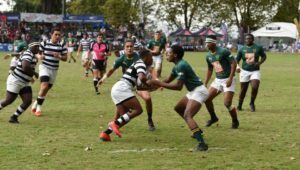 Queen’s – Penalties: Sihlalo Benge (2). 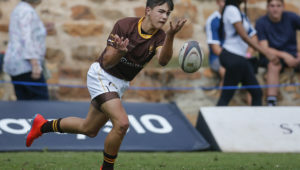 Dale – Tries: Lwando Kolisa (2), Emile Matsinya, Siphelele Njumba. Conversions: Iniphile Tyeda, Thato Moisane. Penalties: Tyeda, Moisane.